Geospatial data provider Maponics has released +Residential Boundaries, a dataset that complements its Neighborhood Boundaries product, and it is poised to be quite valuable to those involved in the real estate market. The boundaries in +Residential are at least 90 percent residential in nature and exclude commercial, industrial and public locations, as well as traditional neighborhoods — all of which tend to exist in downtown areas.The dataset currently offers more than 100,000 U.S. residential boundaries, but will expand (according to the company) to upward of 500,000 by 2014. 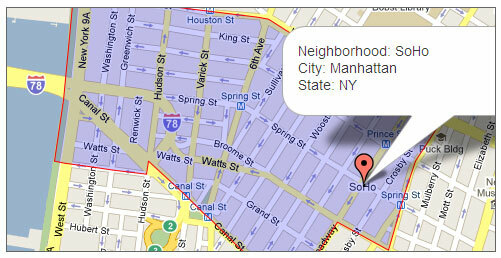 This month Maponics also unveiled a new version of its Neighborhood Boundaries product. Version 2.0 offers data for more than 159,000 neighborhoods in the United States and Canada, more than 20,000 neighborhoods in Europe, and more than 11,000 neighborhoods across South America, Asia Pacific, the Middle East, and Africa. The new release introduces a more uniform data structure, improved organization of neighborhood types, expansion of the neighborhood hierarchies, as well as improved language support.